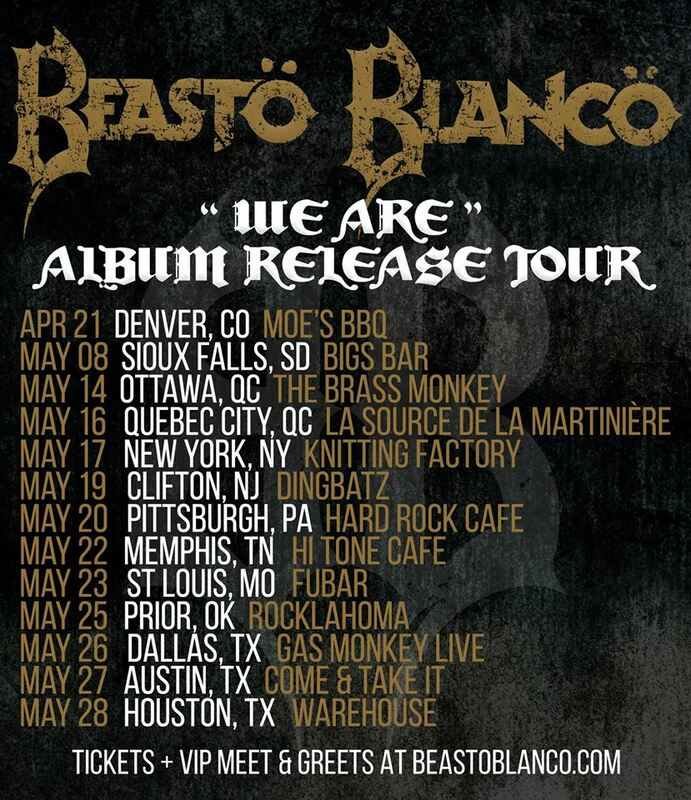 Beasto Blanco add US headline Shows. Beasto Blanco, with Chuck Garric and Calico Cooper, have announced headline shows around their previously announced Halestorm support slot dates. These shows will promote their new album, which going from the adverts looks to be called “We Are”, and one would assume it will be released around the same time. You can see the full list of shows in the image below. Calico will also be a guest on ‘The Jimmy Star Show’ Wednesday on W4CY Radio between 3pm and 5pm. It looks like you can listen in here. Alice was out and about in Detroit last week, taking a break from recording new material! Detroit News snapped a pic of him having dinner with Bob Ezrin and Mark Farmer of Grand Funk Railroad, so presumably add his name to the guest list on the next album! On Saturday Alice and Dash Cooper were at the Arizona Coyotes Ice Hockey match and “dropped the puck” at the start of the game. You can see footage here. Solid Rock have announced more details about this years “Alice Cooper’s Annual Rock & Roll Fundraising Bash” which takes place on April 27th before the annual golf tournament. Guests this year include Neal Smith, Robin Zander (Cheap Trick), Tommy Thayer (Kiss), Mickey Dolenz (The Monkees), Robby Kreiger (The Doors), Danny Seraphone (Chicago) and Jonathan Cain (Journey). The Independent has an article/list of their 10 best Alice songs, which you can check out here.